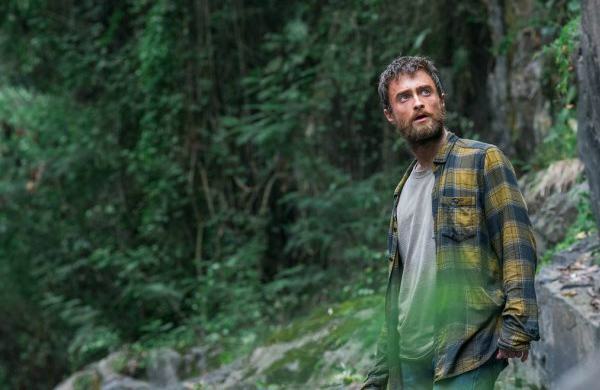 Action thriller based on real events directed by Greg McLean which follows Yossi Ghinsberg (Daniel Radcliffe), an Israeli backpacker who with his two friends set off into the Bolivian jungle being guided by an Austrian expat named Karl Ruprechter (Thomas Kretschmann), who had met the friends just days before and claimed to be familiar with the region. However, their dreams soon turn into a nightmare when Ruprechter abandons them and leaves them for dead. Yossi Ghinsberg: I left to escape the well-worn path, university, work, marriage, kids. I wanted to experience the extraordinary. Yossi Ghinsberg: I was desperate to escape the well-worn path, work, marriage, kids. Not me, I wanted to experience the extraordinary, which is why I ended up in the jungle. Yossi’s Friend: This is my friend, Yossi Ghinsberg. Yossi Ghinsberg: Very good to meet you. Karl Ruprechter: Nice to meet you too. Yossi Ghinsberg: I told my parent’s I’d be back in a year, but I don’t think I’ll ever go back. Karl Ruprechter: [to Yossi] There’s nothing like the jungle, insects, birds, it’s like they’re screaming at you, and then suddenly it’s just you, whatever you came looking for. Marcus: How do you know that Karl is telling the truth? Karl Ruprechter: [to Yossi] You hate the world, that’s why you’re here. Yossi’s Friend: [sarcastically] Let’s go off into the jungle with a complete stranger. Karl Ruprechter: You’re a photographer, right? You can take photos that get you straight into National Geographic. Karl Ruprechter: This is the last frontier on earth. The jungle shows us what we really are. Karl Ruprechter: Perfectly balanced, the problem is us. We’re the cancer, we deserve to disappear. Yossi Ghinsberg: Karl, what are you doing? Marcus: He’s the only guy who knows where we are, what we’re going to do, and he just walks away. Yossi’s Friend: Stop! You’re such a letdown, I can’t even believe it. Yossi’s Friend: Don’t leave me! Yossi Ghinsberg: I’m not leaving you, okay! Yossi Ghinsberg: We have a map, and people are coming to save you. All you have to do is keep going. Going and going and going. Going and going and going. Going and going and going.